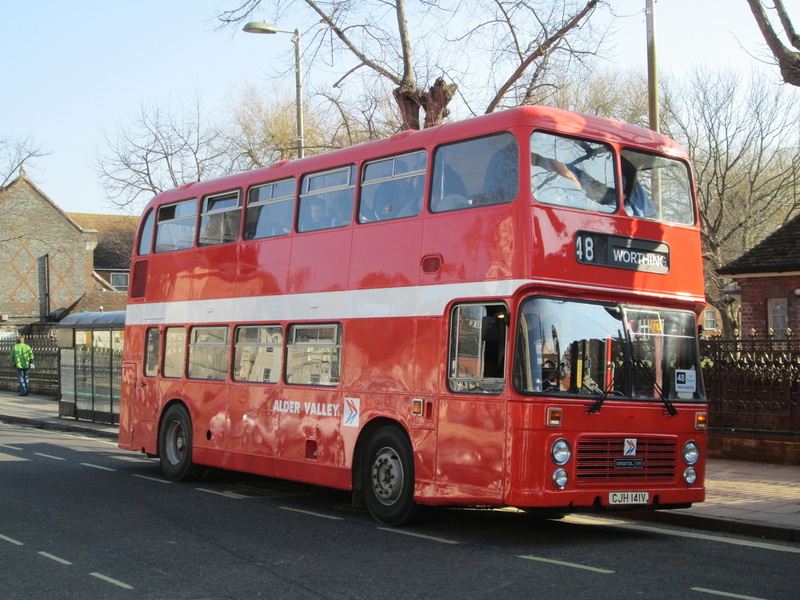 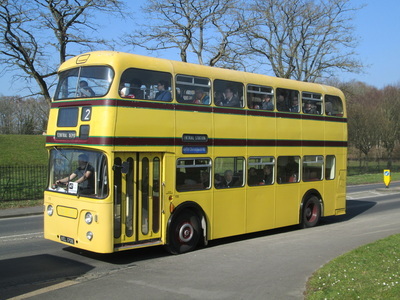 In the early 1960's, technology progressed and manufacturers were designing and building new buses with engines in the back rather than the front. 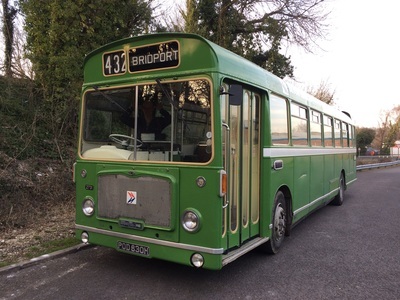 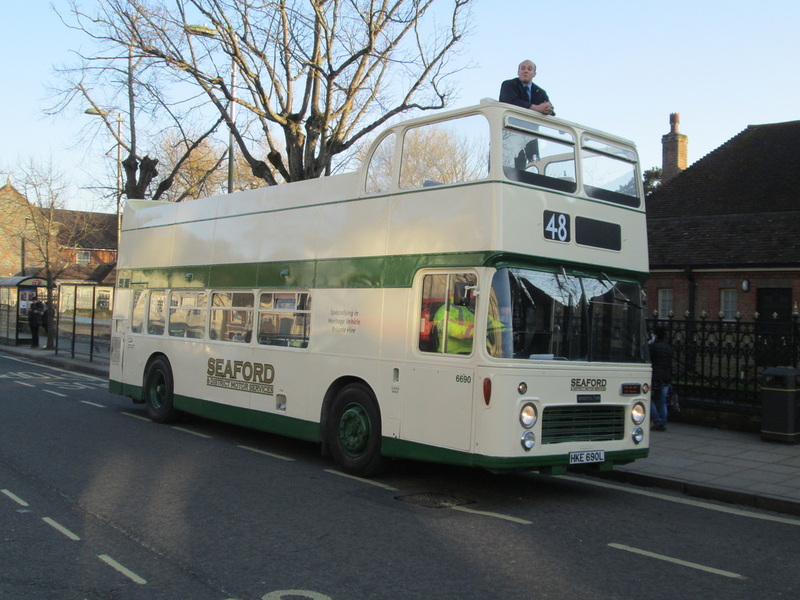 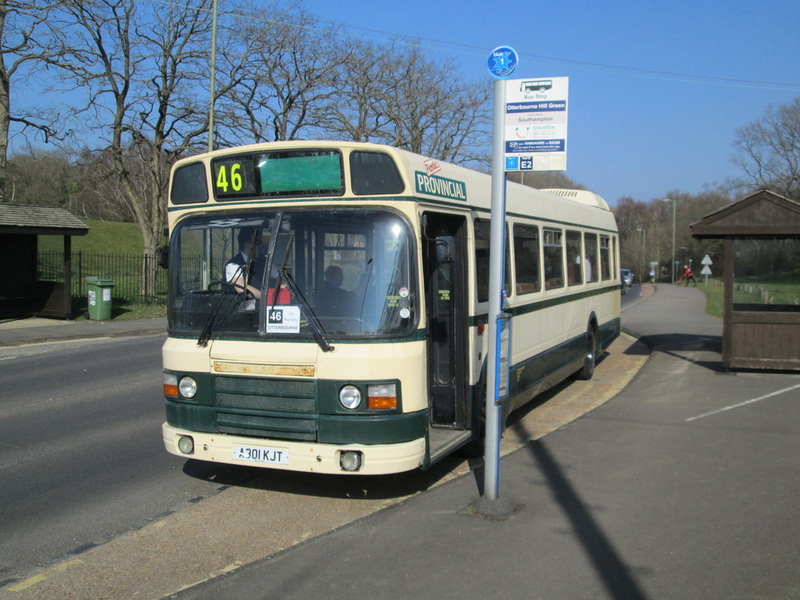 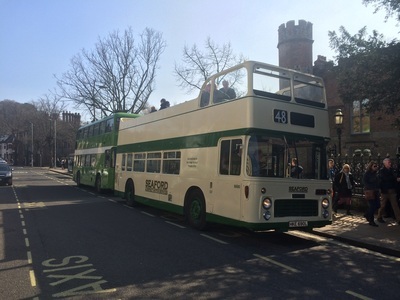 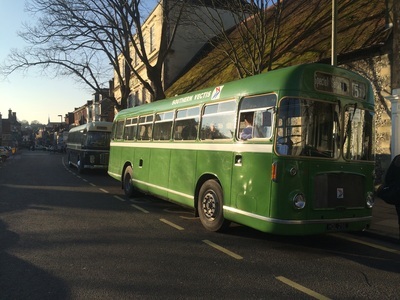 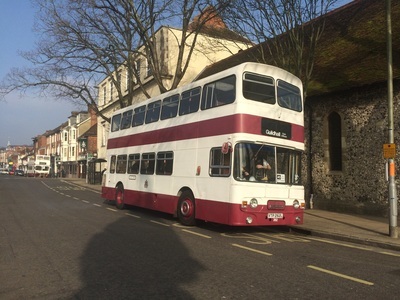 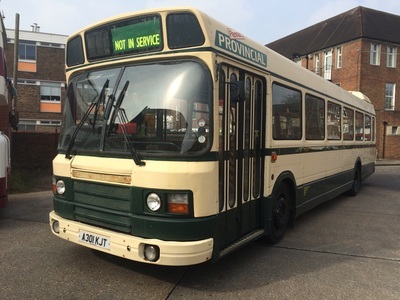 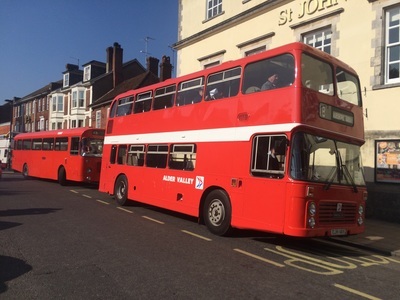 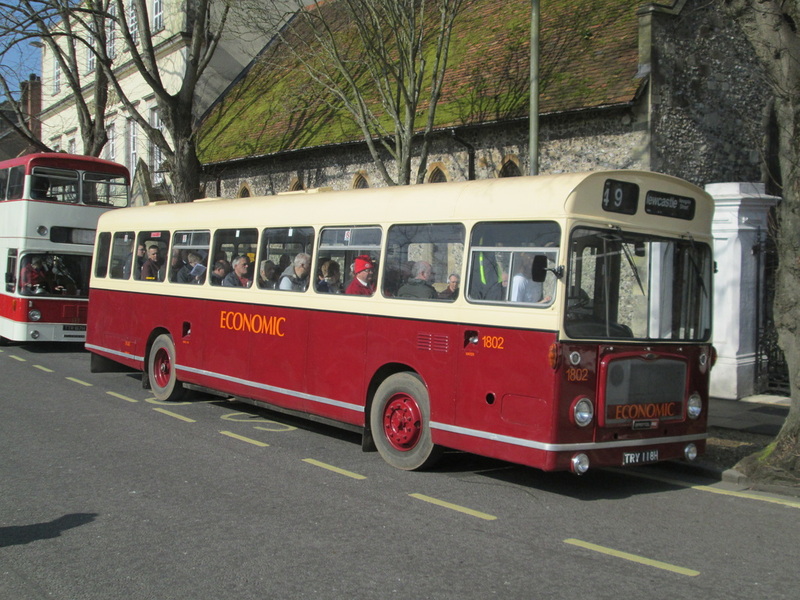 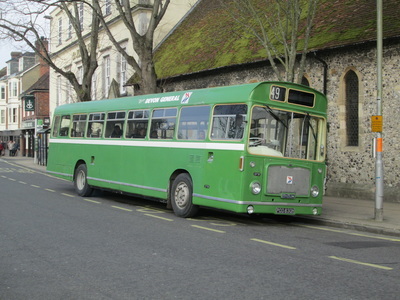 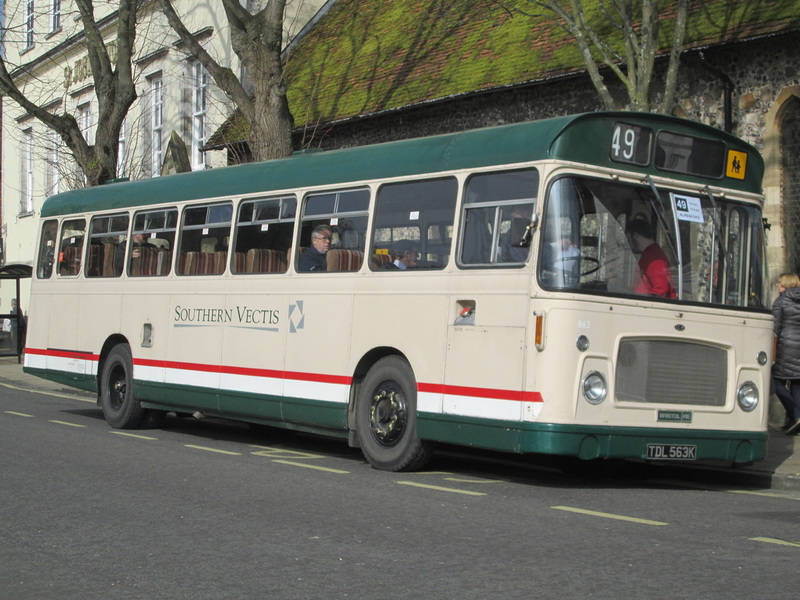 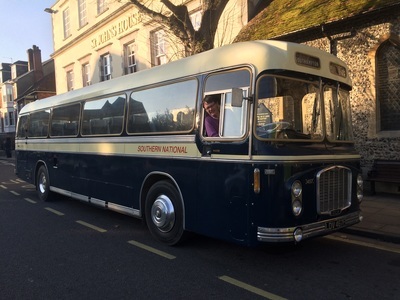 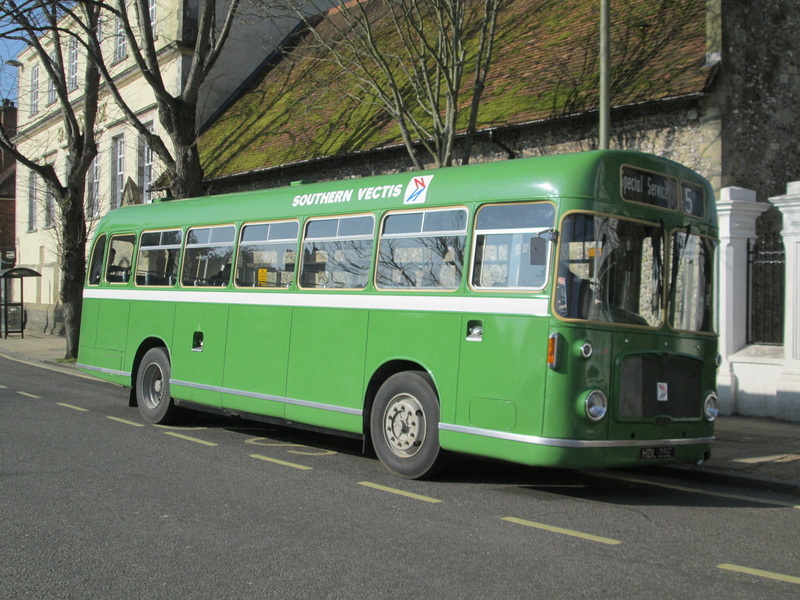 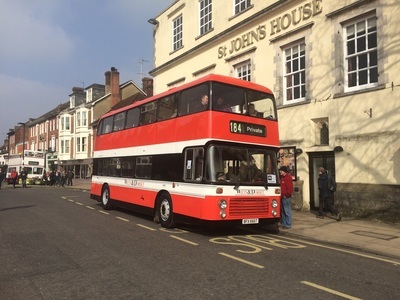 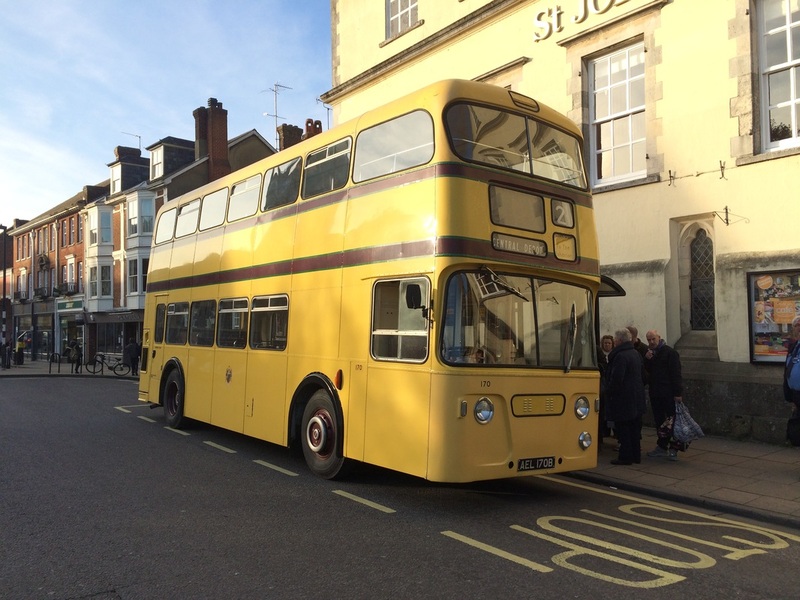 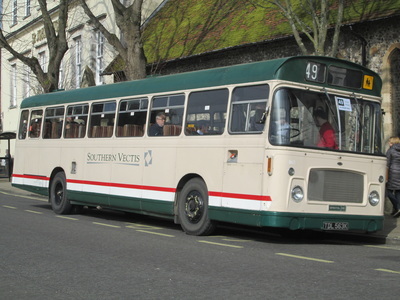 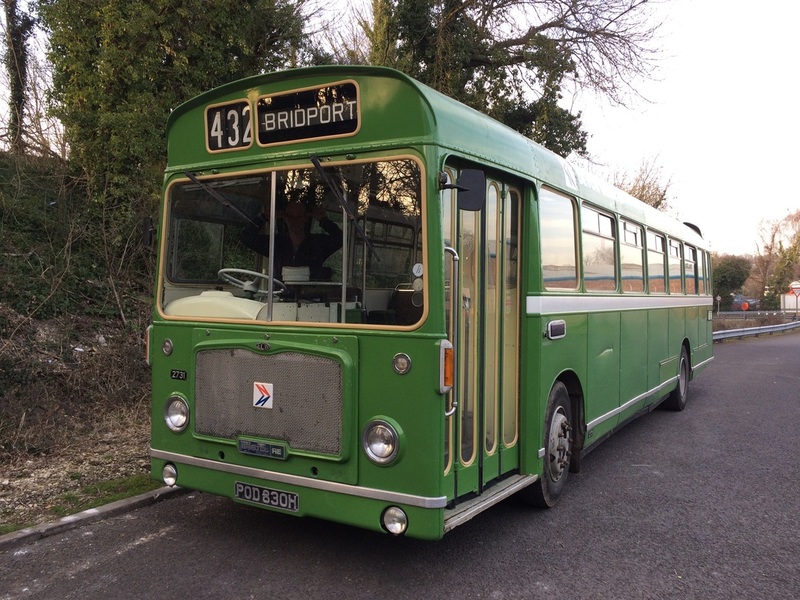 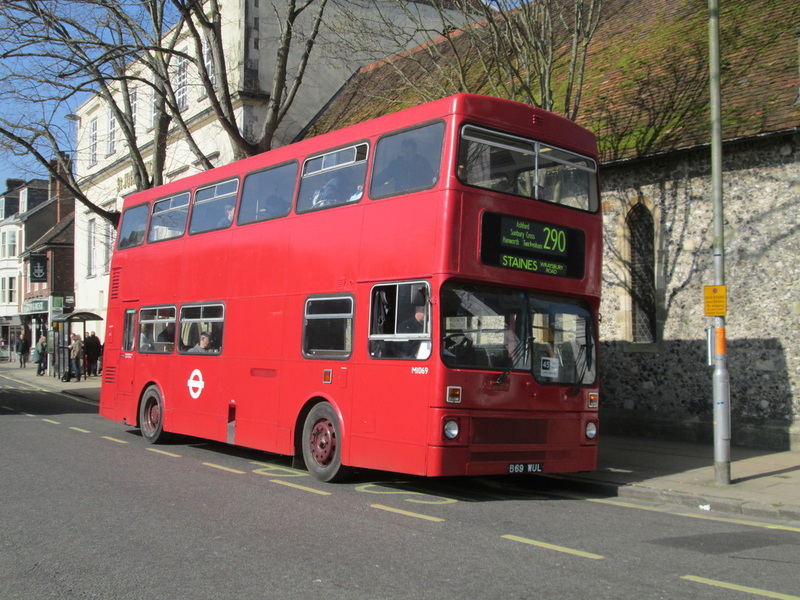 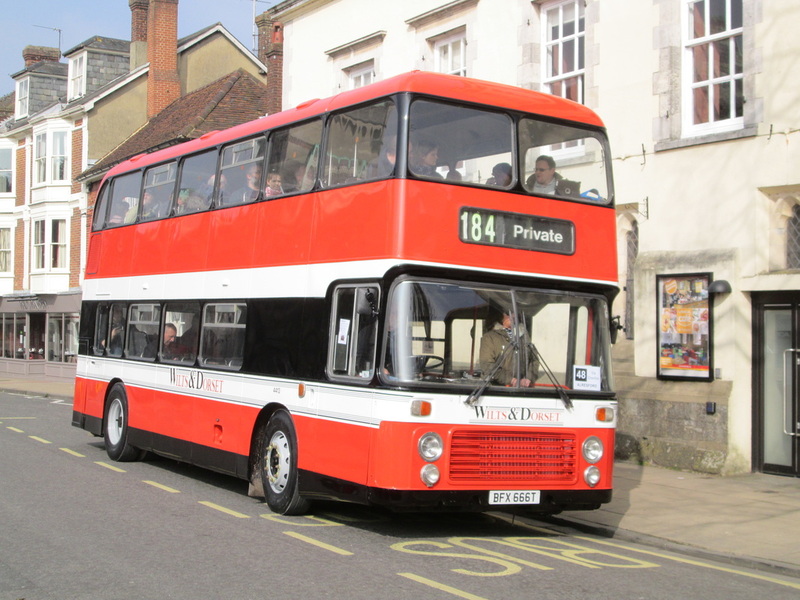 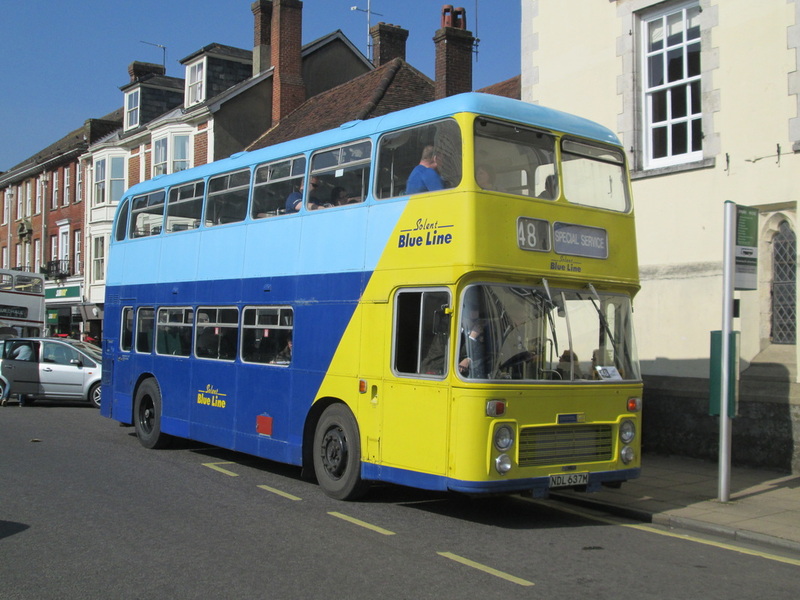 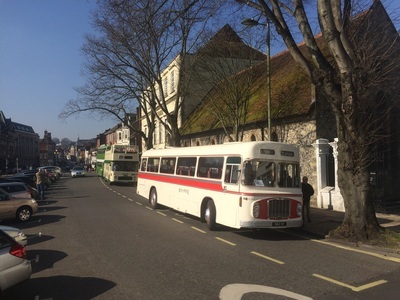 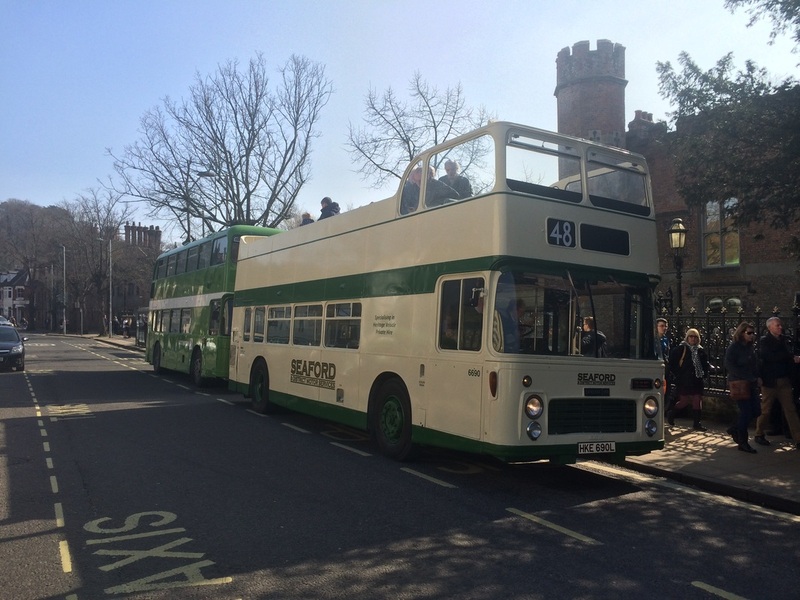 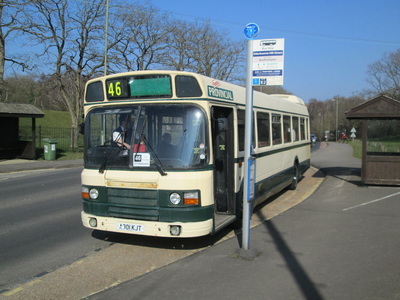 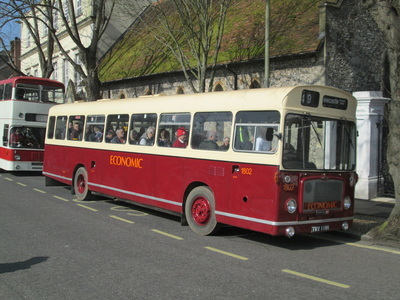 Driver's were trained to take fares as passengers boarded which meant considerable savings for the bus companies as the Conductor would no longer be required. 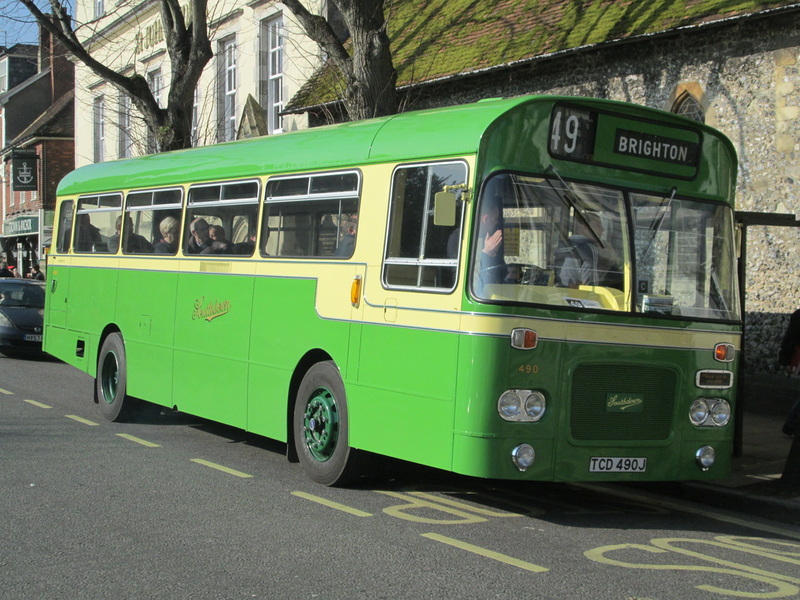 The buses were easier to drive too as most were designed with Semi-Automatic gearboxes thus the driver changed gear without a clutch. 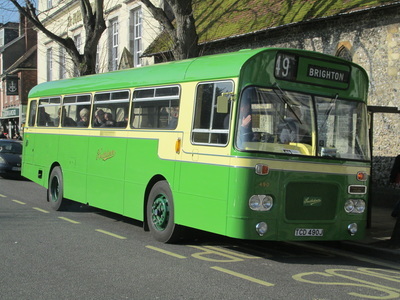 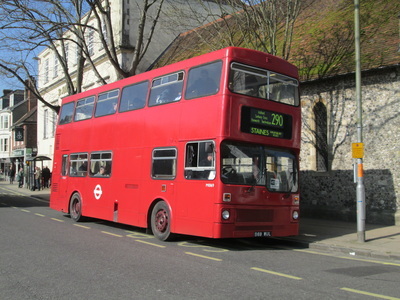 Later buses would be fitted with Power Assisted Steering and various other driver aids. 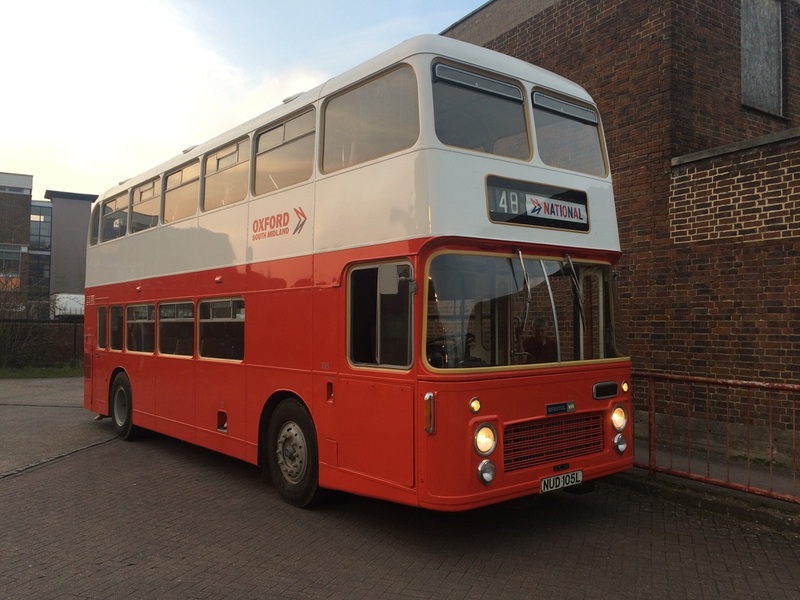 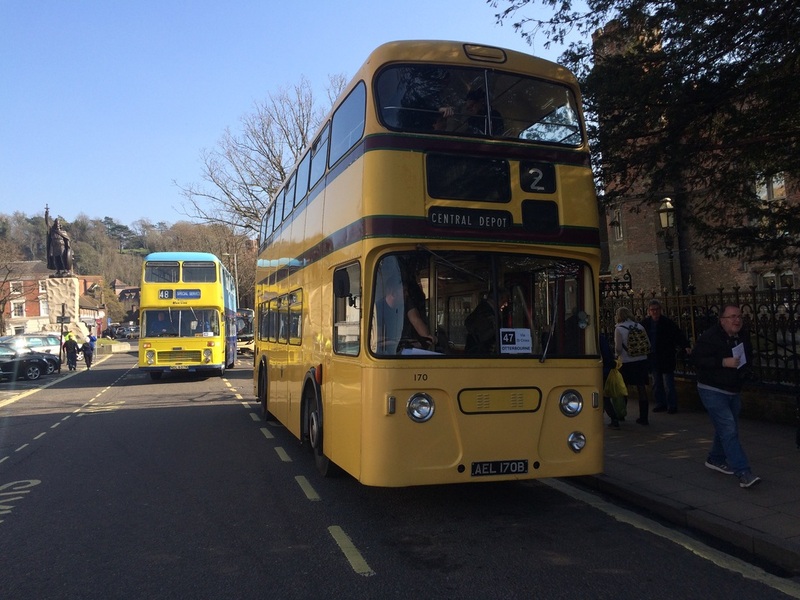 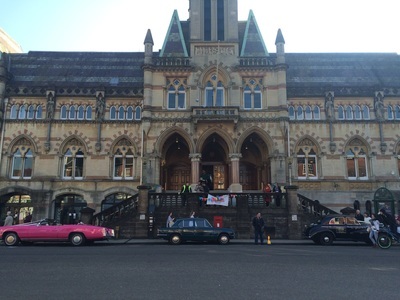 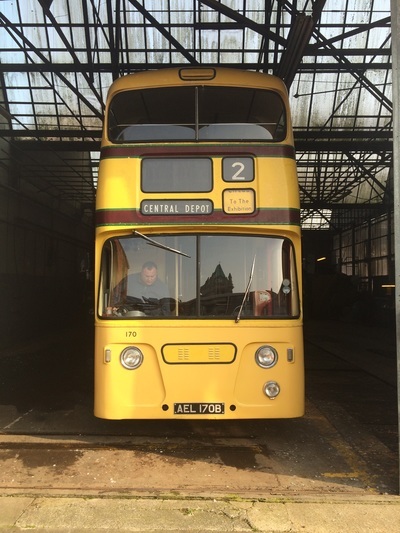 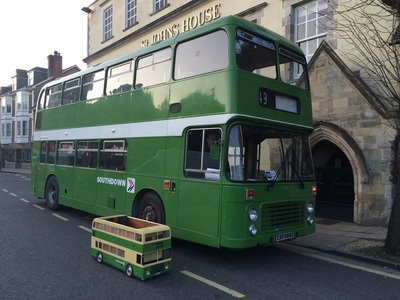 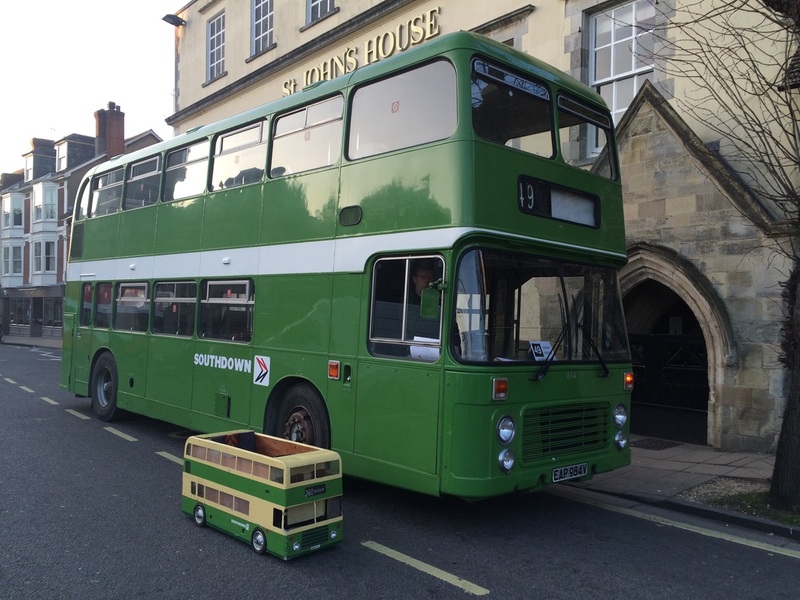 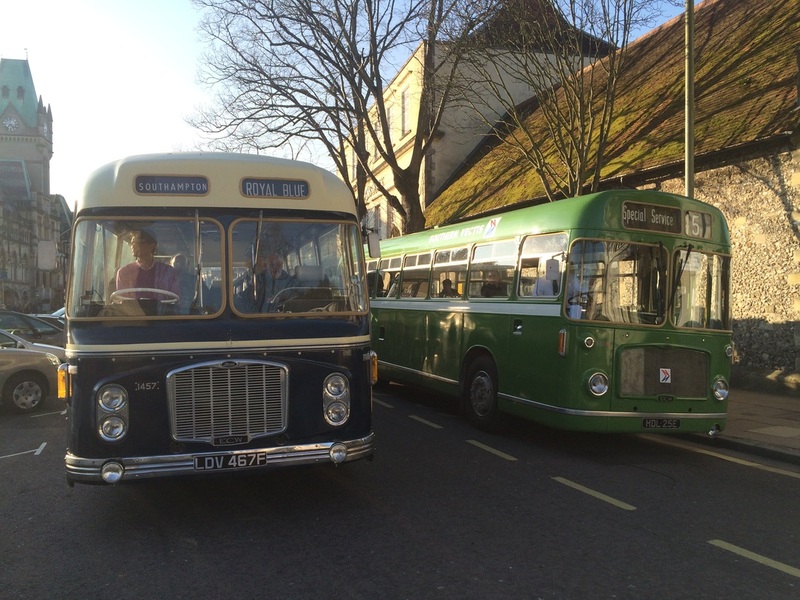 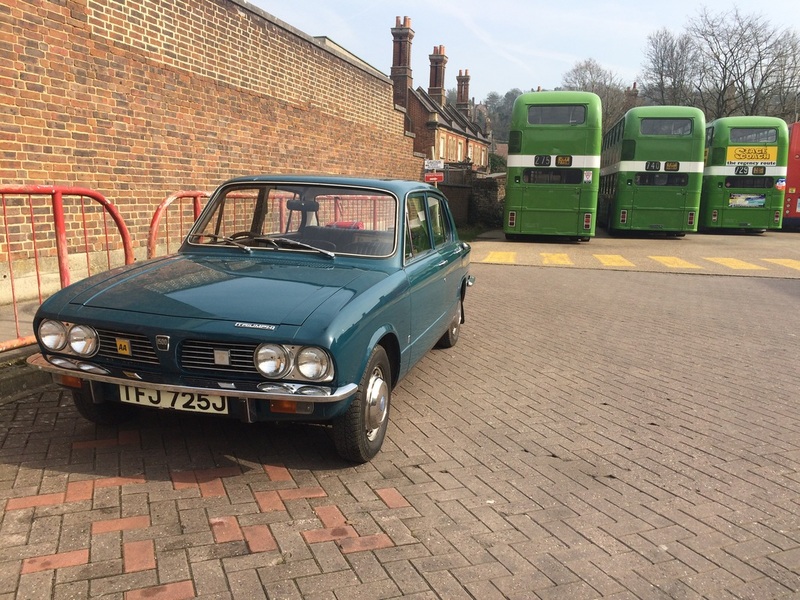 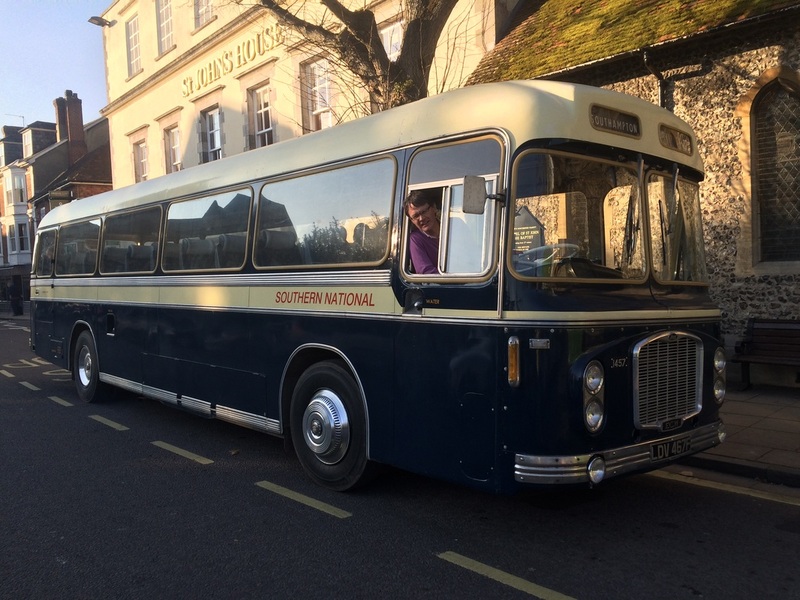 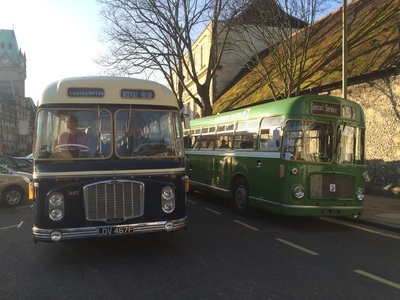 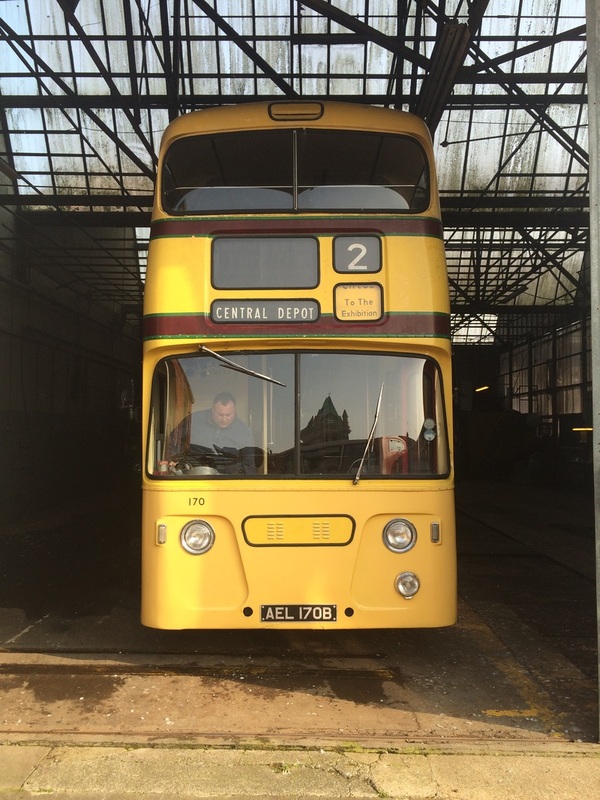 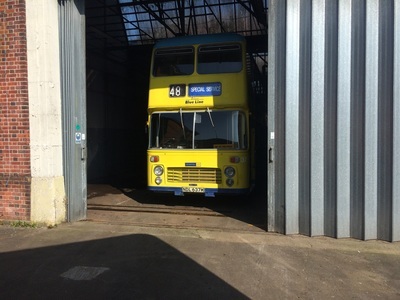 The event was designed to celebrate what many believe to be the Hey Day period of the Rear Engined Bus - 1960 - 1990. 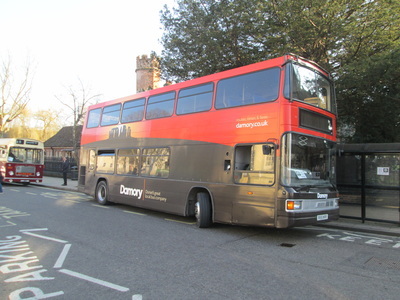 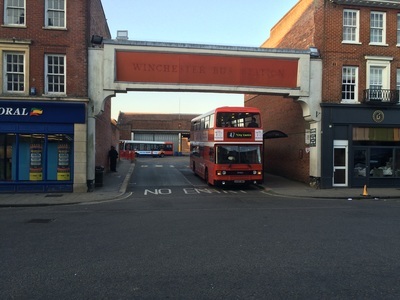 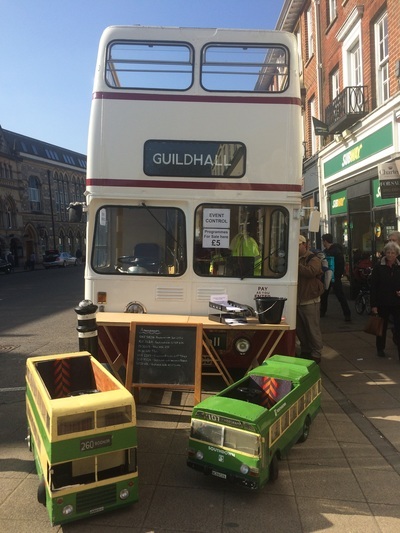 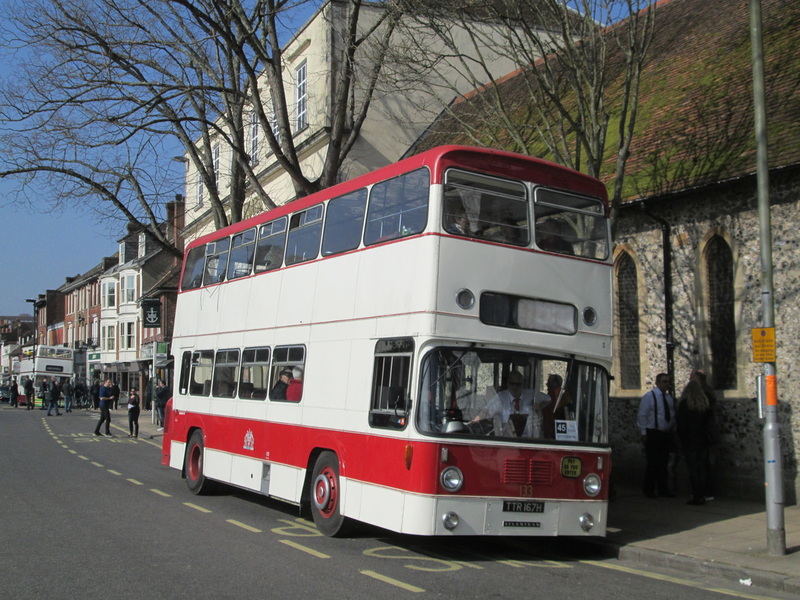 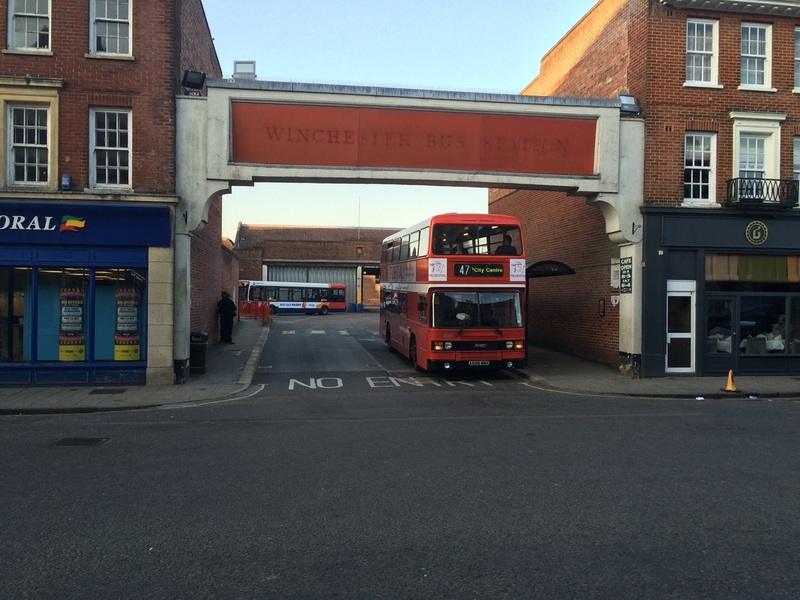 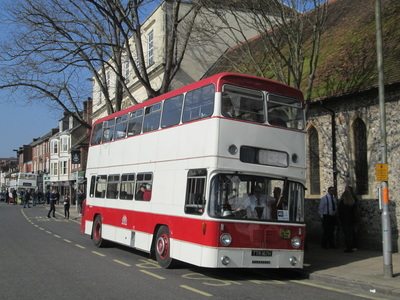 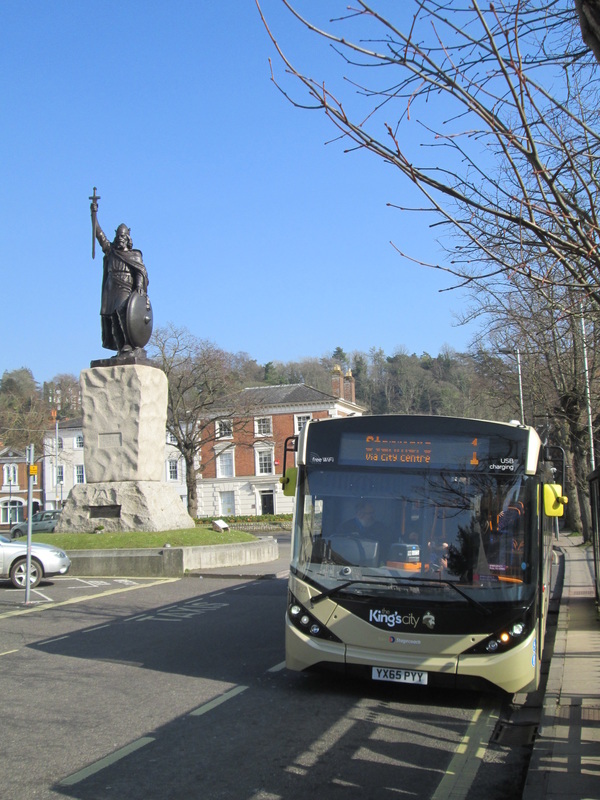 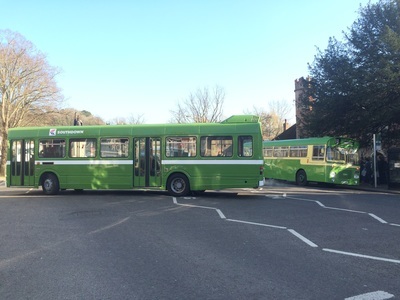 Operating from the Broadway in Winchester, we shall be operating several services around the City and out to some local villages. For those who have a taste for Real Ale, certain routes called at popular pubs so they could enjoy a good pint too!! 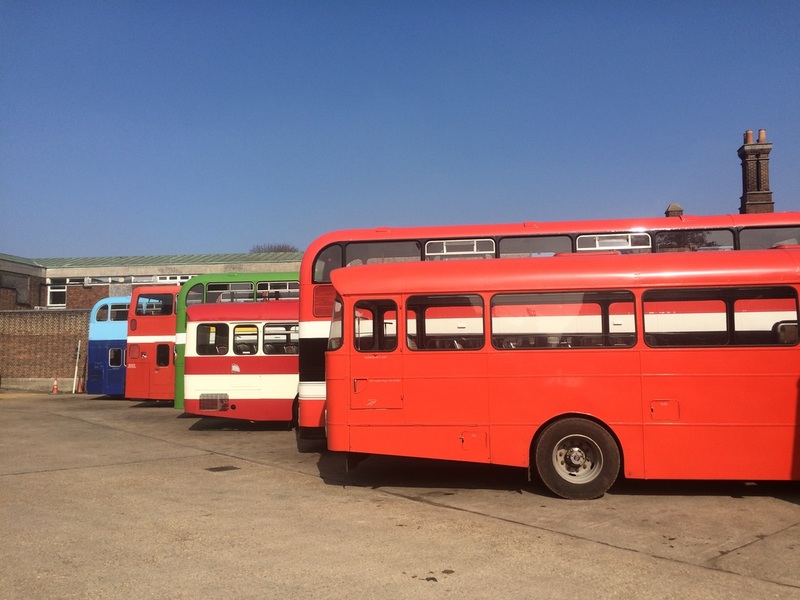 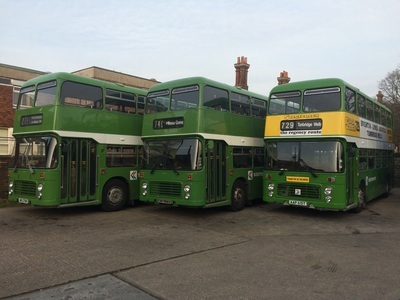 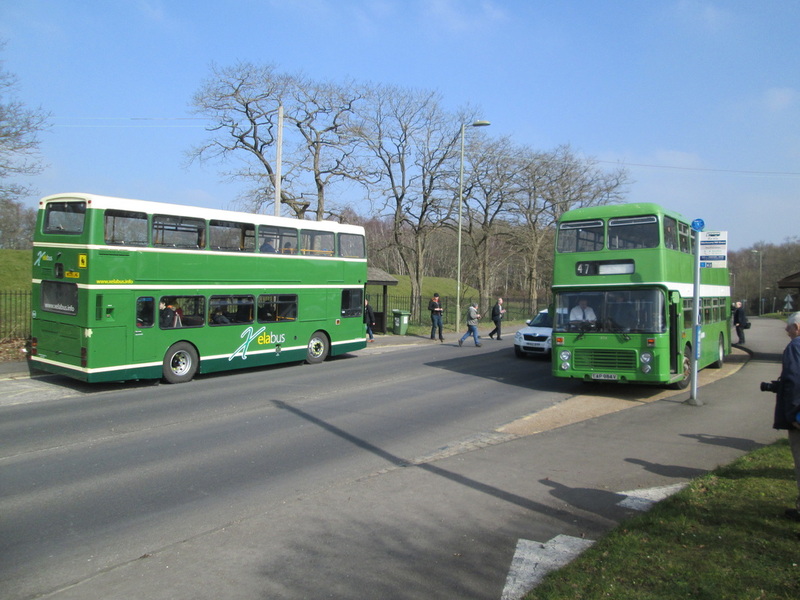 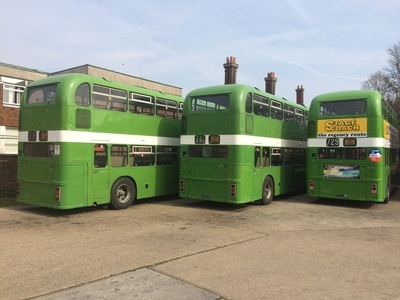 The line up included AEC's, Leyland Atlanteans, Bristol RE & VR, Daimler Fleetline, Leyland National and even Leyland Olympian so there really was something for everyone. 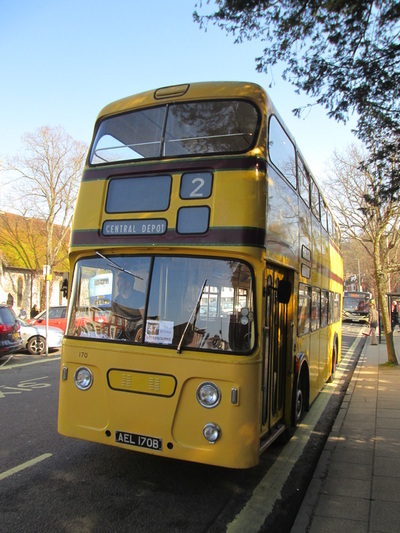 The day was strictly a Running Day there was no official static display. 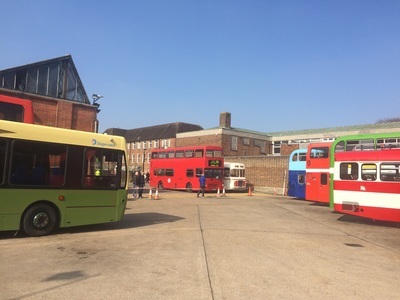 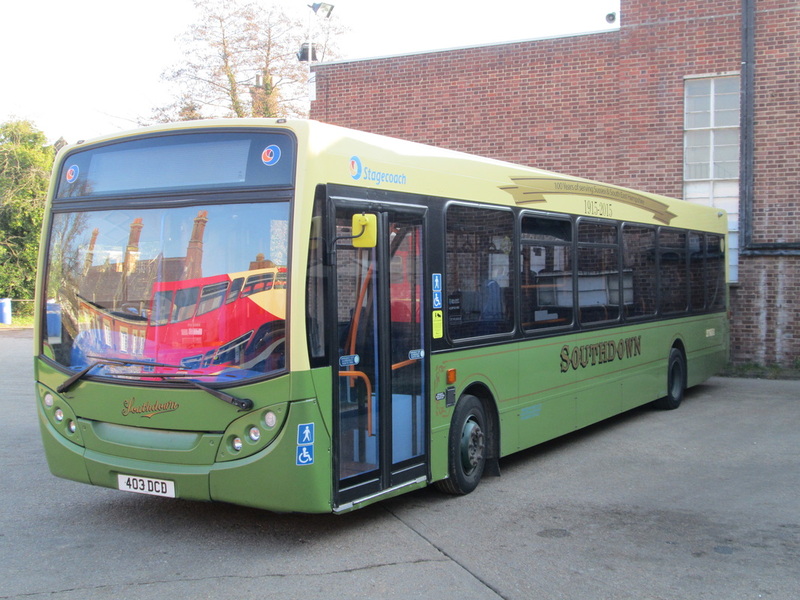 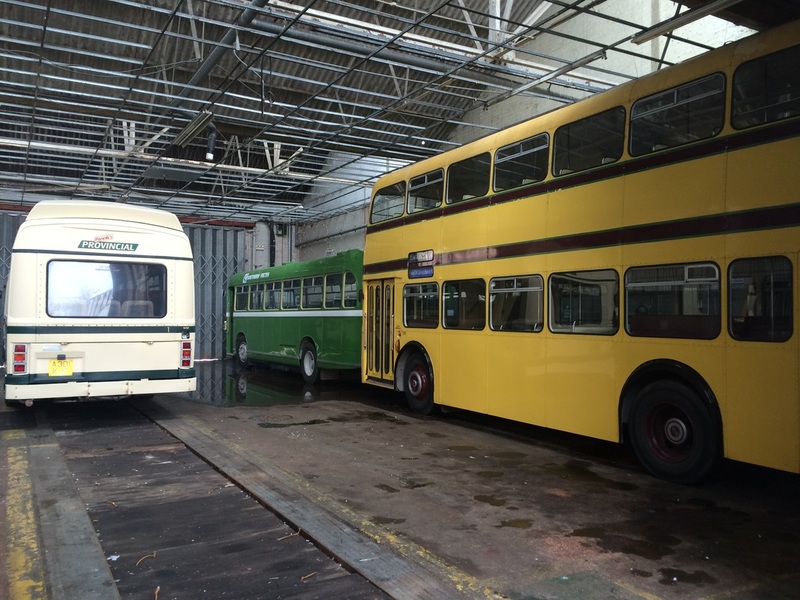 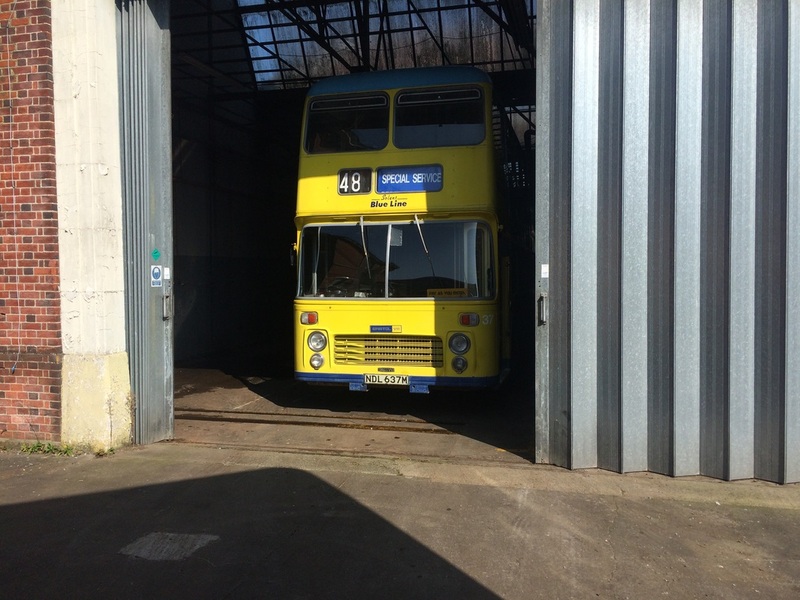 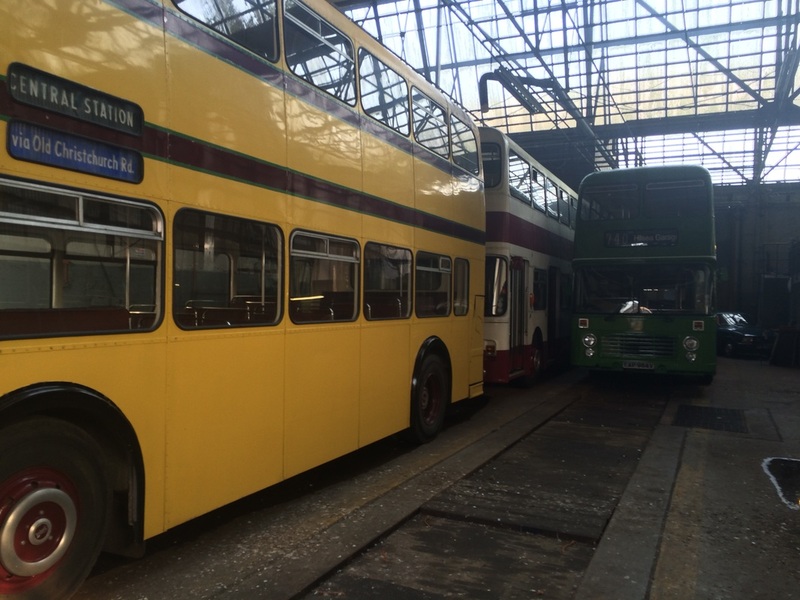 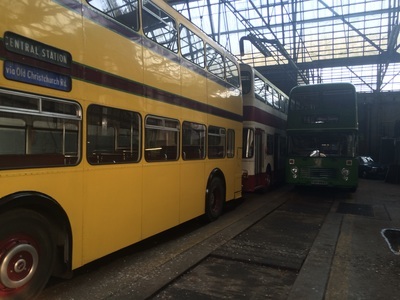 However, some buses could be viewed whilst parked between duties in the bus station but others were stored away from the City Centre.